How Motown changed my life - Ready Steady Gone! There is a long list of singers, songwriters and musicians who say they were influenced by Motown. And it’s not just artists that grew up during Motown’s golden era of the sixties. There’s a host of recent performers that not only claim to be influenced by Motown but also sound like the old Motown stars. Although my development as a musician happened at the same time as Motown’s growth in the UK record market, it was decades later that Motown changed my life. 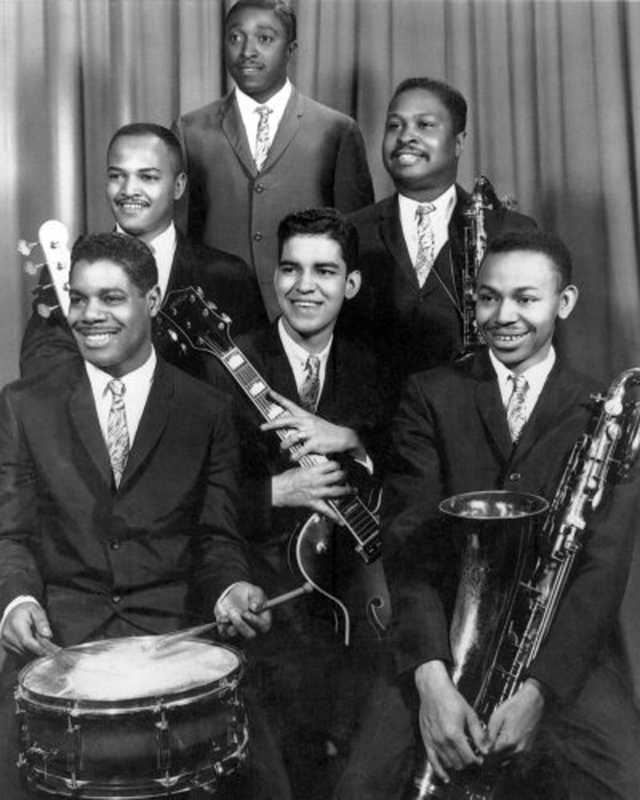 Back in the late fifties and early sixties Motown didn’t take off in the UK in the same way that it did in the States. Probably the first time most British music listeners got a taste of Motown was when the Beatles covered tracks by Smokey Robinson, the Marvelettes and the Isley Brothers on their early albums. 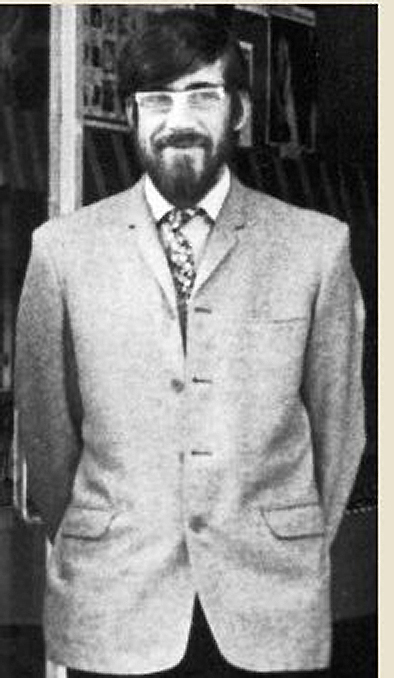 Music history books tell us that Motown’s break through in the UK was largely due to the work of Dave Godin. Long before Motown was generally recognised in the UK, Godin started the Tamla Motown Appreciation Society and became the UK adviser to Berry Gordy, Motown’s founder, on how he should conduct his operations over here. The strategy worked – six years after the company was founded in Detroit in 1958, Motown artists started appearing regularly in the UK charts. By the time I first heard ‘Where Did Our Love Go’ by The Supremes late in 1964 I was already hooked on some of the popular black music coming out of the States. For me Motown didn’t just explode as a new entity – it was more of transition from black girl groups like the Chiffons and what Phil Spector produced with the Ronettes and the Crystals. As with the Spector records, a lot of the early Motown stuff included a baritone sax for the solo breaks. I had just started playing the sax in bands so I guess this was one of the reasons I was an early convert to the Motown sound. A year or so after Motown broke in the UK I started playing in clubs such as Newcastle’s Club A’Gogo and for the first time I was able to hear Motown music played through good sound systems. A couple of the records I remember being played at the Gogo a lot in 1966 was Marvin Gaye’s “Ain’t That Peculiar” with the distinctive bass line driving the song along. Also “This Old Heart of Mine” by the Isley Brothers. Towards the end of sixties the Motown sound became more polished and heavily orchestrated. To me, the true Motown sound consisted of a driving bass and drum beat, a dominant tambourine and a beefy baritone sax break. Although my interest in Motown was on the wane, one or two records still caught my interest, for instance – “My Cherie Amour” by Stevie Wonder and “It’s a Shame” by the Spinners. Then came the seventies and with them the Sound of Philadelphia – fresh new black music, which at the time seemed like a natural successor to Motown. I became a great fan of Gamble and Huff’s “Philly Sound” but by this time I had left the north east and had given up playing the saxophone, so I never got to play any of that type of music in a band. A couple of decades whizzed by and inevitably I’d given up any thoughts of reviving my career as a musician. My beloved tenor sax lay dormant in the attic. Sometime during the early nineties an old friend of mine, an ardent music fan, sent me a couple of cassette tapes entitled “Standing in the Shadows of Motown”, which accompanied a book he’d bought. 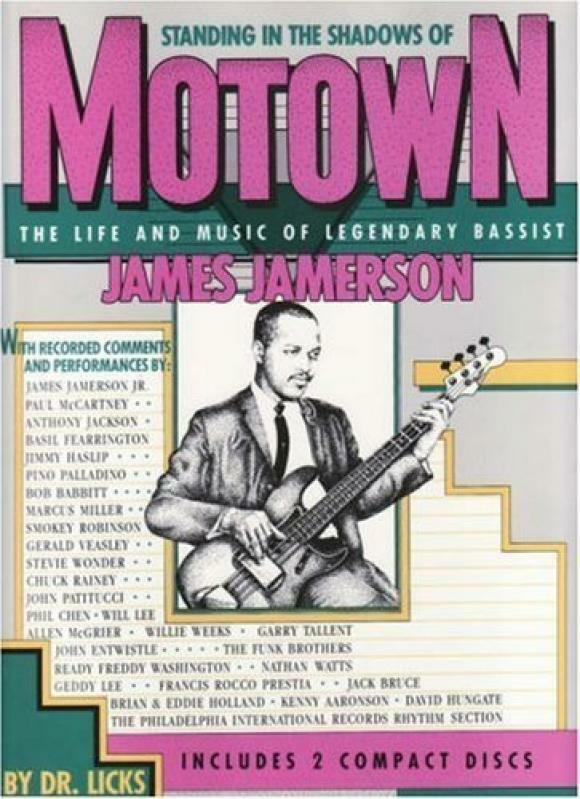 The book was a tribute to the late great Motown session bass player, James Jamerson and was published in the wake of a campaign to get retrospective recognition for Jamerson and the other Motown session musicians, the Funk Brothers, who had played on most of the early Motown hits. For one reason or another I didn’t get to listen to the tapes at the time they were sent to me and it wasn’t until 1997 that I found them and began playing them non-stop. The tapes consisted of Motown songs without the vocals and with the bass lines being played by world famous bass players who also provided a commentary on James Jamerson’s style of playing. Although I knew all of the songs on the tapes, I’d never before taken the time to analyse what went on under the vocals of artists such as the Supremes, Smokey Robinson, the Temptations and the Four Tops. I was amazed by the wonderful bass lines and the contribution they made to the overall sound of the music. My next step was to buy the book “Standing in the Shadows of Motown”, which by this time came with a couple of CDs instead of the cassette tapes. 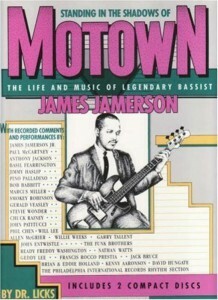 The book not only contained a history of James Jamerson and the Funk Brothers work with Motown but also had the musical notation for the Motown bass lines featured on the CDs. The acquisition of the book was swiftly followed by the purchase of a Fender Precision bass. I wanted to play some of those bass lines – albeit in the privacy of my own home. At the age of fifty I had no thoughts of reliving my earlier life as a gigging musician. So I taught myself to play the bass by reading the music from “Standing in the Shadows of Motown”, starting with the easier tracks and working myself up to complex bass lines like those on “Bernadette” by the Four Tops and “Darling Dear” by Michael Jackson. 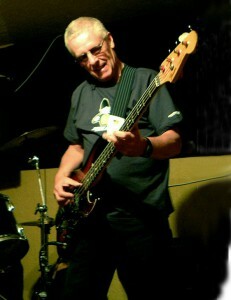 As I became more proficient on the bass, one thing led to another and in 2002 I ended up joining a local covers band. At the same time I had my old saxophone renovated and started to play that again at home. The covers band was a bit lame. They rehearsed a lot but only did a couple of live gigs while I was with them. In 2004 I moved on to a 3 piece rock outfit playing covers of Deep Purple, Free, Led Zeppelin and Thin Lizzy songs. They were quite popular locally and sometimes I found myself out gigging a couple of times a week. A few years later I thought it would be nice to return to playing my original instrument, the saxophone, in a band. I got the opportunity to play sax and keys with a popular mod tribute band in 2006 and from then until 2010 I gigged with them on a regular basis. Since rediscovering Motown back in 1997, I’ve rekindled my love of music and play one instrument or another on an almost daily basis. My life changed in a big way and for the better thanks to Motown and, of course, my friend Charlie Banks who sent me the “Standing in the Shadows” tapes. I’m convinced that I would never have got back into music had I not discovered the amazing bass playing of James Jamerson. Finally, if you have any interest in Motown music then I would recommend getting hold of a copy of “Standing in the Shadows of Motown” – even if you have seen the subsequent movie of the same name, which was loosely based on the book. It may change your life!!! Hi Roger,You won’t remember, but you and I have exchanged e-mails once before when I first discovered your excellent website. I’m an ex Middlesbrough boy, lived in Canada for the past 30 years, and was a member of the Road Runners along with Paul Rodgers and Micky Moody. Just read your last blog entry about your return to music via reading “Standing in the Shadows of Motown” and I had no idea that you had segued into bass playing as well as reviving the tenor sax etc. I have to say that your site and its wonderful content, accuracy and incisive wit and observations makes wonderful reading – kudos indeed on such an interesting place for old “musos” to visit! I was back in the north-east in the spring, and had the pleasure of joining Paul Rodgers on stage at the Metro Arena in Newcastle where he invited me to play guitar on the old Temp’s hit “Aint Too Proud to Beg”, and so your observations on Motown etc. particularly resonated with me when I read them today. Keep up the great work on the site, stay safe and healthy, and enjoy the music! All the best from Toronto!